Do you love wearing boots, but can't seem to find good looking boots that are knee high? Look no more, as these boots from Bennetts Boots will make us look tall and slim by camouflaging the right areas. I like how beautifully it fits and the comfort of wearing the boots. Bennetts Boots are uniquely designed for people with wide calves and curvy legs/ankles. Bennetts Boots found in 2007 by Amanda Bennetts is world leading Australian company that specializes in wide calf boots. Amanda came up with these boots as she couldn't find boots to fit her calves and was a frustrated with fashion industry that created boots only to a certain size. This Jude boots from Bennett Boots has a heel height flat, which I like. It comes in black and chocolate. The full length zip allows us to wear the boots with ease and there is no need to squeeze the legs into the boots :) I have got wonderful compliments, while wearing these cute boots. This pair of Jude flat boots is in riding style and goes well with pants or skirts. I wore the boots for a long period of time and it was comfortable. The boots are light, flexible and have a lovely soft blue lining with anti-perspiration and anti-smell qualities. There are no elastics to worry about. The boots are stitched by hand with genuine leather. They use leather as it is comfortable, absorbs moisture and breathes. Leather protects the foot and also shapes it self to the foot and calf. Napa leather is used for the upper part of the boots, as it is good quality, lightweight, strong and the softest leather that comes from the Napa cow. They use full grain or top grain leather, as it is the strong part of the hide, which is durable. This natural form of leather is expensive and has no polishing or finish done to it. Cowhide is used in different weights and cuts. Pigskin hide is used in the inner sole. I removed the pigskin hide and replaced it with my own orthotics because of religious reasons and still find the boots very comfortable. If we care well for these boots it will last long. The boots come with guidelines on how to care for the leather. If we clean the boots with leather cream to nourish, condition and polish i.e. using products like Zorbel the boots will get an instant shine. Using water and stain protector spray, and allowing the boots to naturally air dry are other ways we can take care of it. 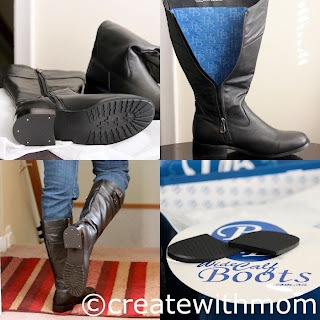 The boot comes with shapers, so it is best to put these on when the boots are not worn, as this would prevent the boots from bending or having creases. The boots also come with an extra heel so we can replace without cost, if needed. There are a few stores in Australia and worldwide. I like the new design and pictures on their site, which makes it is easy to buy online as they ship worldwide for free. The sizing chart on the site is helpful in deciding the perfect fit. There are wonderful collection of designs and choice of colour available. I would like if Bennetts Boots mention the type of leather that are used in different parts of the boots. If you follow Bennetts Boots on Twitter and Facebook you will be able to see their new collections and get to know about deals and coupons. Morehouse Farm has a beautiful collection of kits for us to knit fabulous items for babies, bags and purses, hats, scarves, home accessories, ponchos and many more. 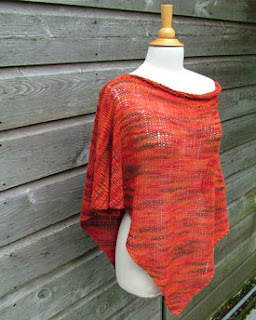 I like the choice of the vibrant colour and the quality of the Morehouse yarn that came in this Pinnacle Poncho knit kit. The finished poncho measures adult triangular shape 5" from side to side and 30" from neck to tip. Cast 3 stitches and purl the first row. Then for the rest of the rows we have to knit and knit increase by 1 and then knit to the end of the row. These steps will be repeated until the needles have 130 stitches, it will be a V shape. The kit explains us how to do this. And after we do 2 of the same we have to put the triangles parallel to each other, wrong side facing out and bind off the shoulders using the three-needle bind (this is also explained). 45 stitches are bind off to the middle from both sides. Then we have to knit the neckline stitches that the kit explains in detail. I enjoyed this kit and I think you will too. These kits makes it easy for us to start and finish knitting projects that could be kept for ourselves or given as handmade gifts. If you are looking for cool sunglasses for kids and teens, then check out Eyes Cream Shades. They have a cute colourful collection of sunglasses for children over 3 years. 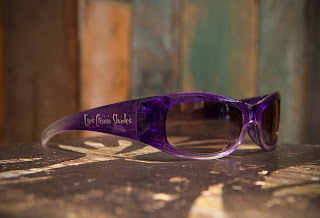 These are good quality sunglasses that will keep the eyes protected from harmful UV rays. The sunglasses have shatter resistant polycarbonate lenses, which are thinner and lighter than regular plastic lenses. Kidorable will be celebrating July 4th by offering us free shipping with purchases over $50. Use this coupon code JULY4TH from July 1st through July 8th to shop for fabulous unique goodies that children will enjoy. 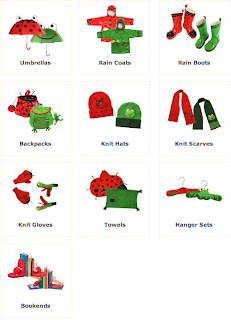 We are enjoying the Kidorable umbrella, raincoat, boots and hangers and I think you will too so do check it out. This dinosaur coin bank from pajama shoppe is really cute. My son being a dinosaur fan loved this right away. It is light in weight compared to the coin banks we have at home. I like that the children can easily move the coin bank without getting hurt because of its weight. This coin bank is 7" wide, 3.75" tall and 3.25" deep, which is a good size for children. The coin slot is big enough to easily fit any type of currency. The coin bank is made with silver pewter. I like that they used this type of material, which doesn't leave finger print stains and saves me the trouble of cleaning and polishing it. Teaching children the concept of money by having a money bank such as this cute dinosaur is a good idea. They will start learning the value of money at an early age, as they recognize the different types of coins. As the children get older they will learn to save their gift money for a good purpose. 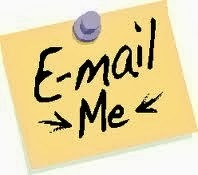 The slot on the back is comfortable to take out the money easily when needed. 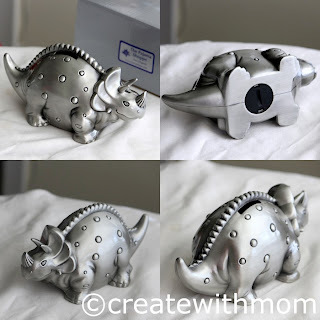 We really like the detailed design on this dinosaur coin bank. They also have a Noah's ark coin bank, which is a little smaller than this one. If you have a dino fan they will like this as a money bank or as a collectible. Pajama shoppe also has a wide selection of night wear for men and women. I tried their cozy comfortable cotton winter print knit pullover pajama set. This pajama is so comfy that I could wear it to lounge all day :) I like the soft material they have used. The bright red and navy blue is very cheerful. The prints of snowmen and snowflakes remind me of the joyful season of winter and makes me just want to wear these PJs on cool nights and curl up. The elastic around the pants are comfortable and doesn't leave marks. The top is loose fitting, which adds to the coziness. They have from S to XL. All the ladies will enjoy this soft cotton pajama set. It would be a perfect gift to buy for moms or young girls going off to campus. 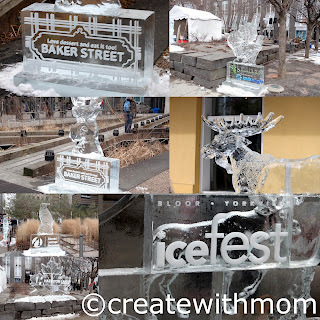 We went to enjoy the IceFest on a chilly winter day. It was a lovely experience for the children and us to see how ice sculptures are carved. 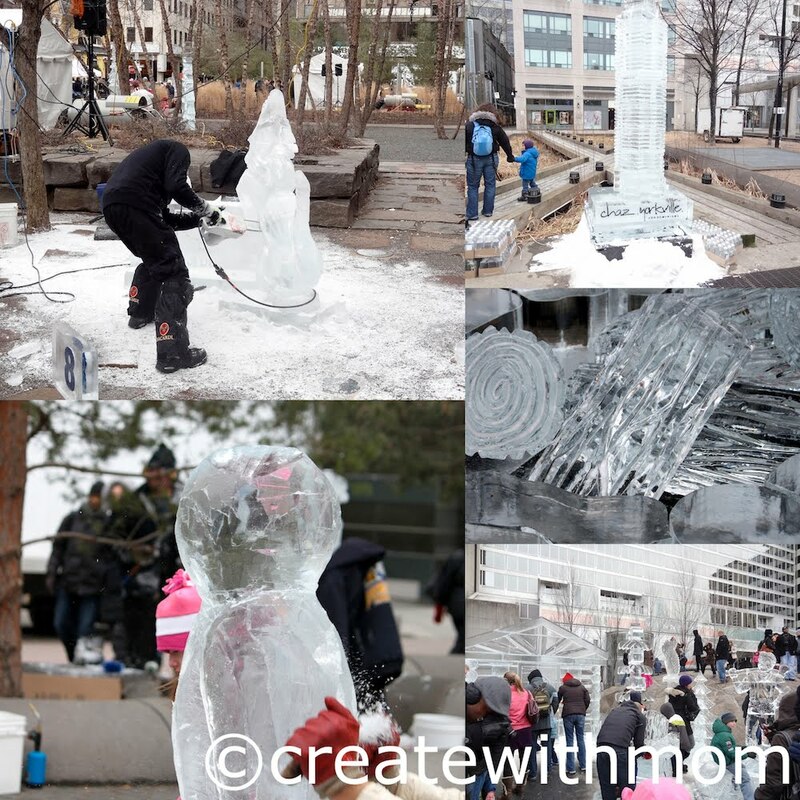 The event was sponsored by businesses around the Bloor-Yorkville area, and the ice sculptures that were carved represented the sponsors. 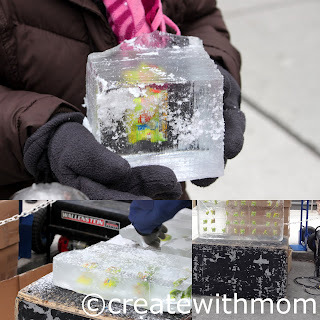 We enjoyed watching the ice carvings. It could have been more organized by the ice carved village. We couldn't capture the cute creative ice village because of the crowd; it would have been better if people could enter through one way and exit the other. We got complimentary gogo crazy bone toys inside the ice kiddie cubes after waiting in line for a while. It would have been nice if the companies had sponsored complementary hot chocolate because it was pretty chilly. Hasbro has a variety of games for our preschoolers i.e. Memory game, Candy land, Chutes and Ladders, Hungry hungry hippos. All these games encourage taking turns, sharing, following rules; which are all important skills for preschoolers and young children to learn so they can be ready for school. The Memory game is a matching puzzle game with 72 vibrant picture cards. Candy land is another fun game for children over 3 years. It has coloured cards and fun pictures that the children will love. The players have to go through fun destinations like mountains full of chocolate and get to the castle first to win this game. Chutes and ladder is similar to the traditional snakes and ladders; instead of the dice there is a spin wheel with 6 numbers. It is easier for young children to look and start counting and learn their numbers up to 100. It too has lovely illustrations on the board. 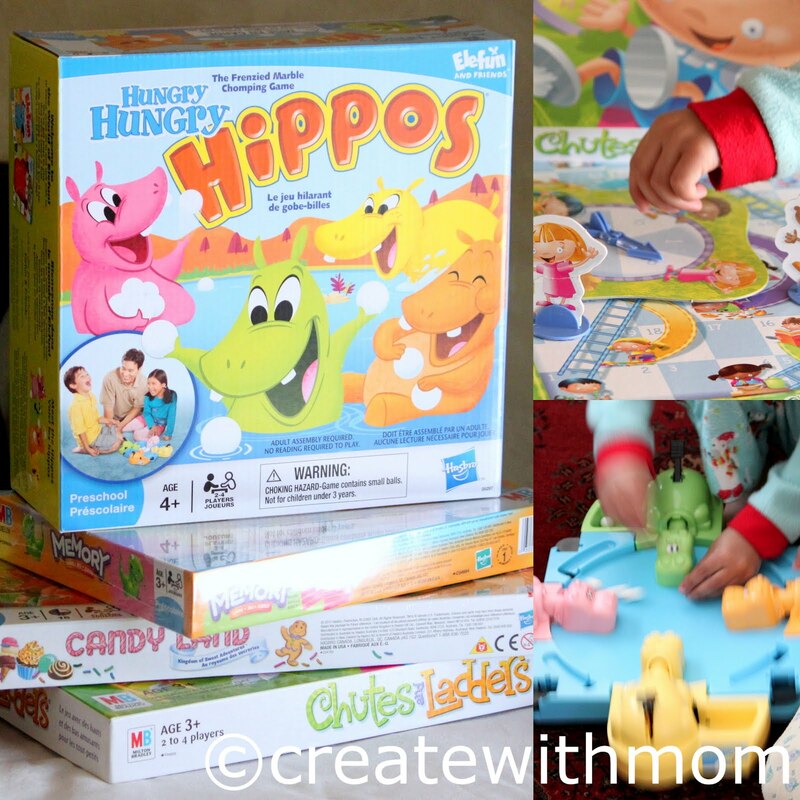 Hungry hungry hippos is a toy game for children over 4 years of age or older because it has small marble sized balls. A maximum of 4 players get to press and collect has many marbles they can with their hippo. Children will have lots of fun pressing and collecting the marble with their colourful hippos. Take the time to have fun with these Hasbro board games as a family and create lasting memories. Fit to flick is a cute hat that allows the ponytail, braid or bun to come through the stitched slit in the hat. It is a fashionable, functional hat that is comfortable. The hat keeps the ears warm and air will not go into the head. We can wear the hairball, which will not come out when the hat is removed. Chocomania is a luxurious line of products. They have Chocomania body scrub, soap, shower cream, body butter, lotion and lip butter. This will leave your skin smooth smelling like chocolates, however the smell is not overpowering. I prefer if there were no smell, but it didn't bother others at home. The skin does feel soft after using and not greasy, which is good for winter. All the ingredients used to make Chocomania are from Fair trade products. It not only feels good from the outside but also the inside :) It is available at Body shop stores and online. Detailed recipe on how to make these delicious easy macaroons are here. Melt the chocolate in a double broiler or microwave and dip or drizzle the macaroons. Let it sit on the counter (if the weather is cool) or in the fridge until it sets and serve. Cut the paper into strips of 2" to 3" in thickness. Let the children decorate as they please. Connect the ends of one of the strips and glue it. Then connect another strip by putting it through the connected circular strip, connect the ends and glue it. 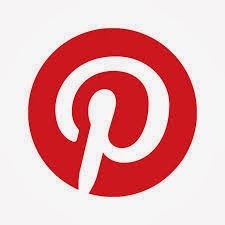 Keep connecting as many as you want to make a garland or to decorate anywhere you please. 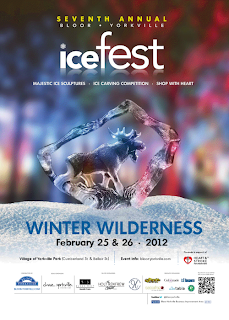 This February the annual IceFest is happening at Bloor-Yorkville area from February 24th to the 26th. This year the theme is "Winter Wilderness." 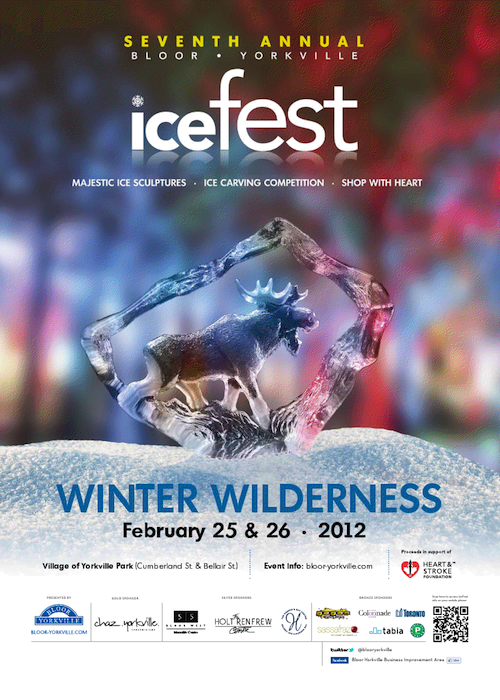 This year there will be ice sculptures such as Ice Log Cabin, Lumberjack, Moose, totem trees and more. You will get to watch the artists put the finishing touches on 30,000 lbs of ice on the 24th. On February 25th and 26th between 12 p.m to 5 p.m the festivities will continue with the ice display, on-street performers including skating performances by "Glisse on Ice", ice carving demonstrations and tasty treats from Baker Street desserts. Children will get "Ice Kiddie Cubes" with a collectible Gogo's crazy bones toy inside. Come celebrate this family friendly Free event. uKloo is a game that every parent will want for their children. This game is created by Doreen Dotto, a mom who was motivated because of her own children. She wanted to teach her sons to read in a creative approach. 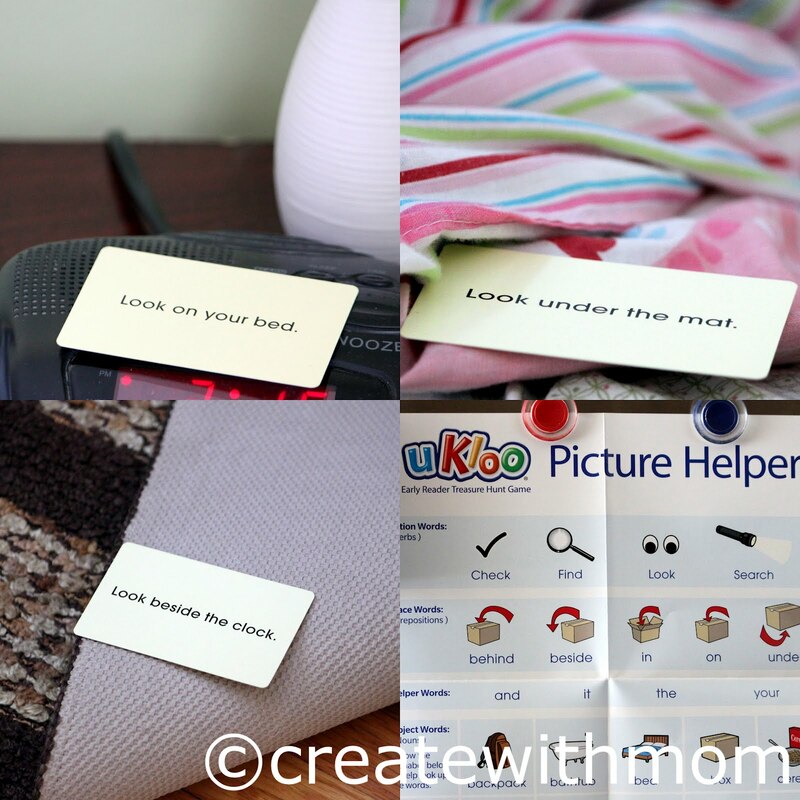 With this game, children will get active running around the house to find the clues. Even my three year old wanted to help his sister look for the cards. The children learn to work together. If they are just starting to read and can't read words yet, they will be able to refer to the colourful picture poster and match the words to figure it out. uKloo targets 3 levels of reading, each level has 14 cards in different colours. There are 12 blank surprise cards for the parents to write a surprise that will fit their child's interest. Doreen has suggested surprises that work in the box. There is also instructions on different ways to play the game, so children will be excited each time they play. Before starting, I made sure to tell the children that I will not be hiding the cards beside the stove, in pots or kitchen cupboards; just for safety. So make sure to set some ground rules. Children will actively learn, become confident, try hard to read on their own and feel a sense of achievement when they find their surprise. They will not want to stop playing this game. It is a worthy purchase. This award winning game is available in many stores within Canada and online. In the USA, it is available at Timeless toys. If you are in the USA and would like to purchase it from your local toy or educational game store please request for this game to become available. 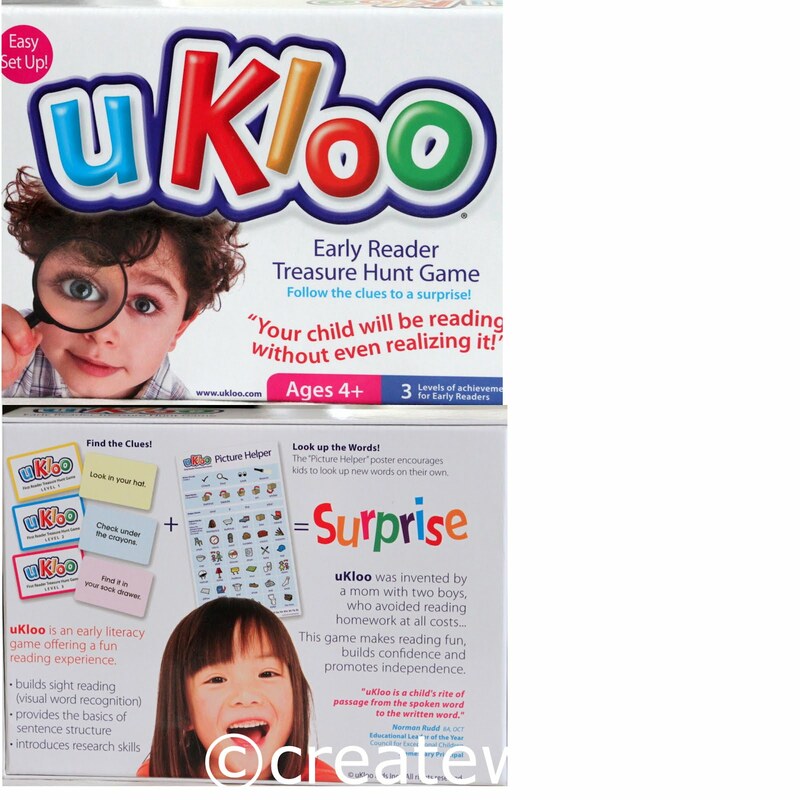 There is also uKloo2 coming soon with riddles, thinking and problem solving. 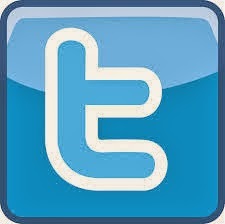 Do follow uKloo on Facebook and twitter. This was one of the surprises the children had. * Can substitute with almond butter or another type of flavoured butter. Heat peanut butter and maple syrup in a pan, when it comes to a boil turn off the cooker and stir in the puffed rice. Put it into a plate and let it cool, then make into balls. The hands may need to be greased to make balls. 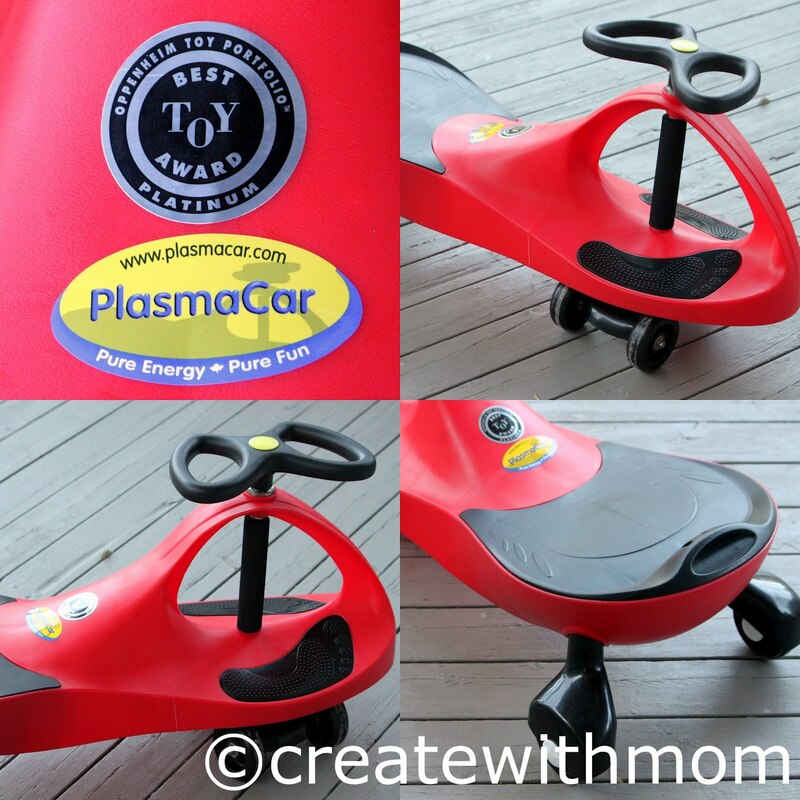 I had a wonderful opportunity to review this plasma car. It is an awesome ride. The only thing needed to ride this car is, energy and a mood to have fun. Everything on the car is controlled by the steering wheels. There are NO batteries, gears or pedals. It is easy to assemble, as the instructions are straight forward. The car will hold upto 120lbs on uneven surfaces and 220lbs on smooth surfaces. I love the sleek design and the attractive choice of bright colours that are available. It is recommended by the designers to ride the car on smooth floors. We used them on hardwood floors because it is freezing outside and there is snow :) So far, nothing happened to the floor and there were no scrapes. Children and adults will have to learn to share ;) and patiently wait for their turn to ride the car. It is easy spend hours of fun moving around in this car. We are eagerly waiting to try it outdoors in the Summer. 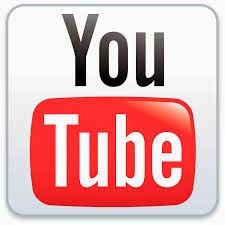 Plasma car is generously sponsoring 2 cars to giveaway. 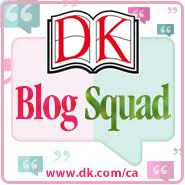 Giveaways are open to USA and Canada and ends on January 31st. 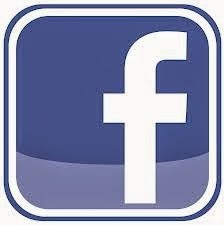 Please like Plasma car on facebook and twitter. 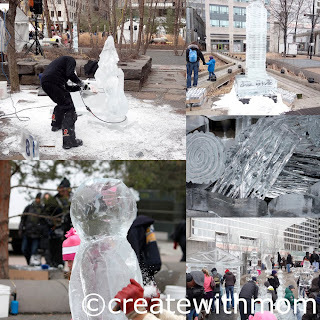 I will be drawing one person from Torviewtoronto and one from Createwithmom). Blend all together and serve. This paper bag puppet creates lots of imaginary play and conversation, so make it and put on a play. Let children use their imagination and have fun decorating any way they want. This image is from the official site. Our experience at the Empire theatres was fabulous. The theatre at North York has parking that is validated. The elevator from the underground parking goes directly to the movie theatre, which is fabulous when it is cold. The manager and all the staff were courteous. The theatre has a pleasant, clean and casual environment. The washrooms are clean, which is very important with young children. The theatre has 10 rooms that are large, with spacious seatings and bigger screens compared to other theatres. Based on this experience, I will visit Empire theatres again. 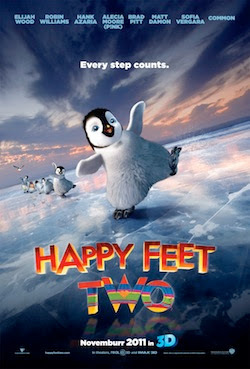 We watched Happy feet 2 and enjoyed this funny movie. We loved the different accents of the characters. The children loved some of the songs. I thought there was a lot of songs in the movie which can be reduced, and there could have been more dialogue. These holiday gift tags or mini cards are made with things that are easily found around the home. It gives a nice personal touch and a cute thoughtful addition to holiday gifts. 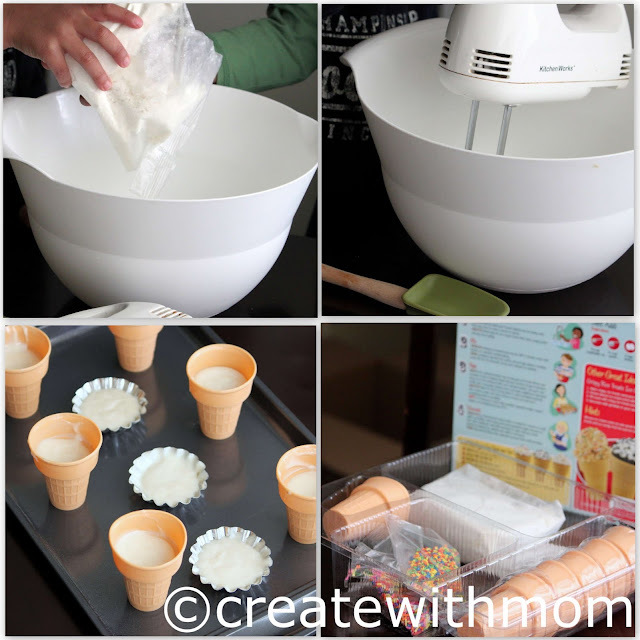 Get creative and have fun making these with the little ones.